Home :: Indoor Radios :: Mikrotik RouterBoard mAP2nD RBmAP2nD indoor wireless access point AP - New! Mikrotik RouterBoard mAP2nD RBmAP2nD indoor wireless access point AP - New! 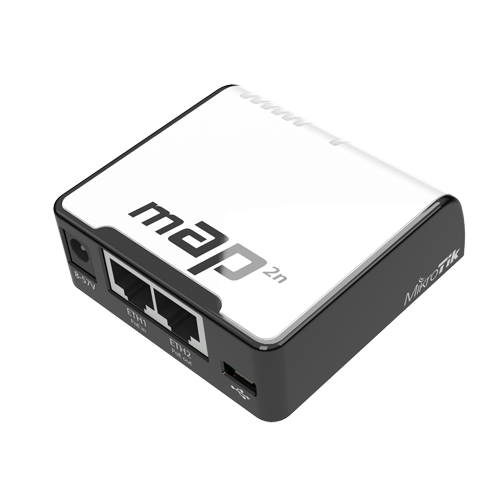 mAP2nD RBmAP2nD is Mikrotik's new quick and easy indoor wireless access point! 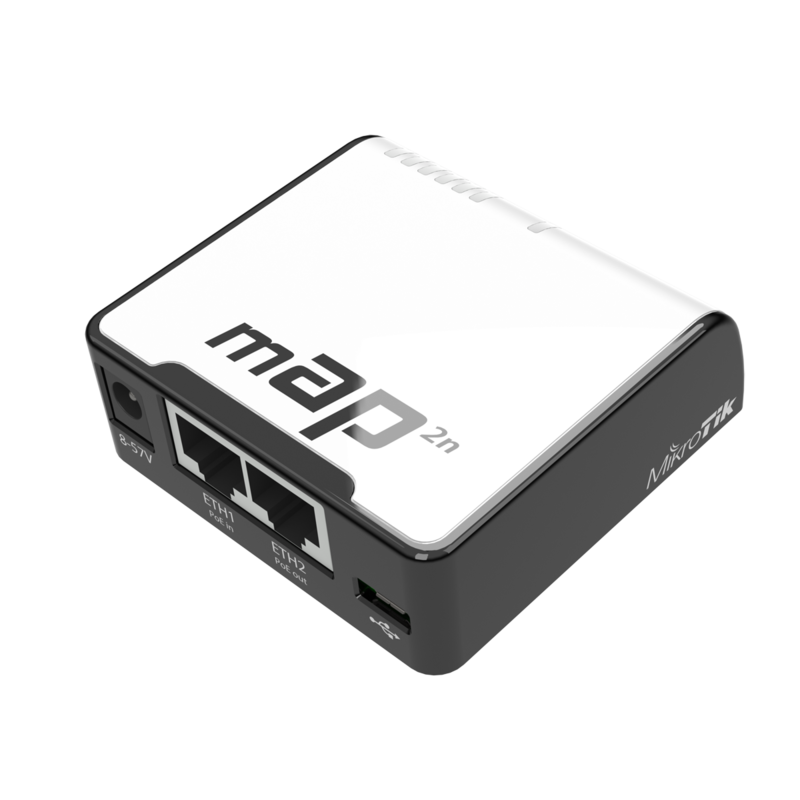 Mikrotik's new mAP has two Ethernet ports and one USB 2.0 port along with an 802.11b/g/n wireless AP with built-in antenna. 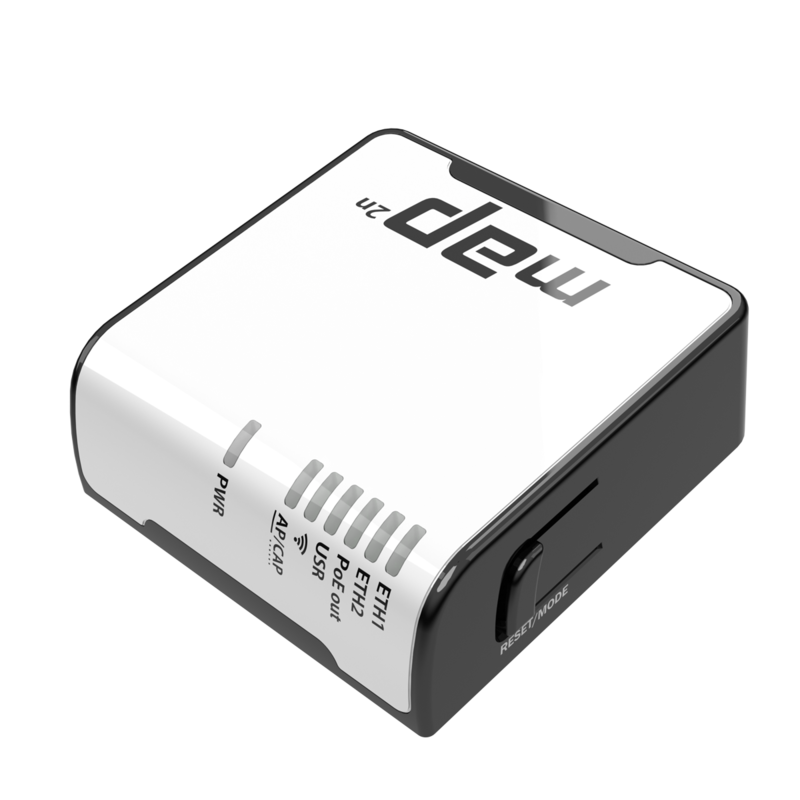 The first Ethernet port accepts both 802.3af/at and passive Power over Ethernet from 8-57V DC.